The Medline database was reviewed for publications on robotic technology in infertility surgery to determine the interest in using robotic laparoscopic surgery in the management of female infertility. Marie Carbonnel, M.D., Julie Goetgheluck, M.D., Albane Frati, M.D., Marc Even, M.D., Jean Marc Ayoubi, M.D., Ph.D.
To determine the interest of using robotic laparoscopic surgery in the management of female infertility, we reviewed our own activity and searched the Medline database for publications on robotic technology in infertility surgery, with the use of the following search words: robotic laparoscopy, tubal anastomosis, myomectomy, deep infiltrating endometriosis, and adnexal surgery. Robot-assisted laparoscopic surgery has seen rapid progression over the past few years. It has been mostly used for myomectomy, proximal tubal reanastomosis, and deep endometriosis surgery. Despite its increased range of indications, no randomized control studies are available. 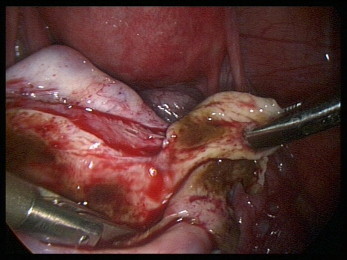 The place of robotic surgery in the management of infertility remains undetermined.